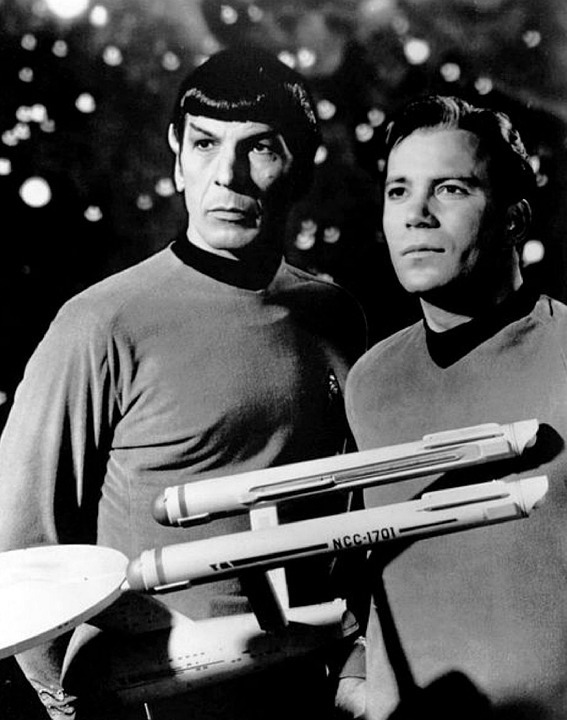 When Star Trek premiered on national television in August 1966, the world would never be the same. Despite its premature cancellation three years later after a mere 79 episodes, it left an indelible impact not only on popular culture but on the scientific community. Many of the advanced technologies displayed in Star Trek have gone on to influence scientists, and a great deal of those advancements have already been made manifest. Some of these technologies remain outside the realm or understanding of modern science. Physicists still debate whether faster-than-light warp propulsion is theoretically possible, and the miraculous ability of the transporters and replicators to transport and reshape matter are widely considered to be an impossibility. In 1983, Nobel Prize winning scientist Kary Mullis invented an incredible device than could actually replicate small strands of human DNA by the billions. This was done through a process known as a polymerase chain reaction (PCR), and it facilitated an improved molecular and genetic analysis of DNA. At present, the machines required for PCR are large, bulky and quite sensitive. In order to work effectively, the utmost care needs to be taken to control their environment. In addition, significant preparations have to go into preparing the DNA for replication. Not only does the DNA have to be purified before samples and replication can commence, it can take several weeks just to prepare the machines for a new DNA source sample. The process of DNA replication is not simple, as you can imagine. There are a number of steps that must be taken, and the strands of DNA have to be carefully prepped and processed before PCR can take place. However, there is a new approach being taken to the process of PCR. Nicholas Adams and Frederick Haselton, biomedical engineers researching at Vanderbilt University, developed a new method that they call adaptive PCR. This process uses left-handed DNA (L-DNA) as a control over the molecular reactions present during PCR. While L-DNA is a mirror of standard DNA, it is not generally involved in biological reactions. By tagging the L-DNA with fluorescent light and and adding it to identical right-handed DNA, the reactions of the fluorescent light can be monitored and used to control and better understand the molecular reactions taking place. If this new technique is successful, it could transform PCR, and even possibly lead to portable handheld adaptive PCR technology that could be used to test DNA outside of a laboratory and inside actual hospital rooms. Field tests could be used on cancerous DNA, furthering scientific understanding of cancer and even moving closer to preventative cancer science. Another recent discovery of note for DNA reproduction and cancer treatment is the recent discovery at the University of Cambridge of quadruple helix DNA structures. This quadruple helix DNA is found in DNA regions that are heavy in guanine, one of the four nucleotides that form DNA. It seems that quadruple-helix DNA may play a role in switching genes on and off as they are reproduced and passed on, especially with regard to cancerous cells, where quadruple-helix DNA is especially prevalent. If this new form of guanine-heavy DNA were to reproduced by PCR and adaptive PCR techniques, it could revolutionize our understanding of cancer, and eventually even lead to new and influential cancer treatments. Replicating a billion identical strands of DNA is a long way from the advanced biological replication witnessed in Star Trek. At present, such a concept still appears to be nigh impossible. But much of what was once believed impossible is now reality. As science fiction author Arthur C. Clarke once wrote, “Any sufficiently advanced technology is indistinguishable from magic.” Only the future will reveal what may eventually become reality.